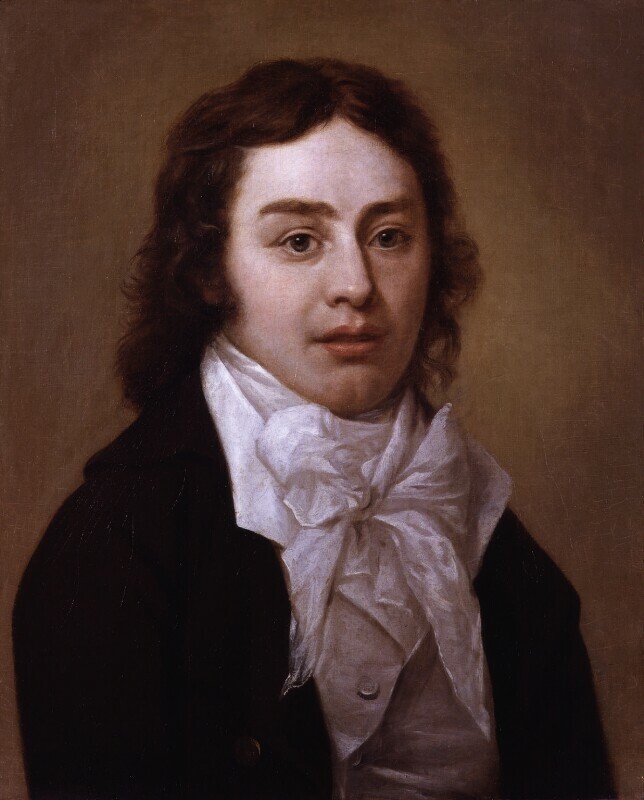 Samuel Taylor Coleridge (1772-1834), Poet. Sitter in 10 portraits. Peter Vandyke (1729-1799), Painter. Artist associated with 3 portraits. 'He is a wonderful man,' wrote Dorothy Wordsworth, 'His eye is large and full … such an eye as would receive from a heavy soul the fullest expression; but it speaks every emotion of his animated mind.' This portrait was painted for Joseph Cottle who published Coleridge's first volume of poems in 1796.